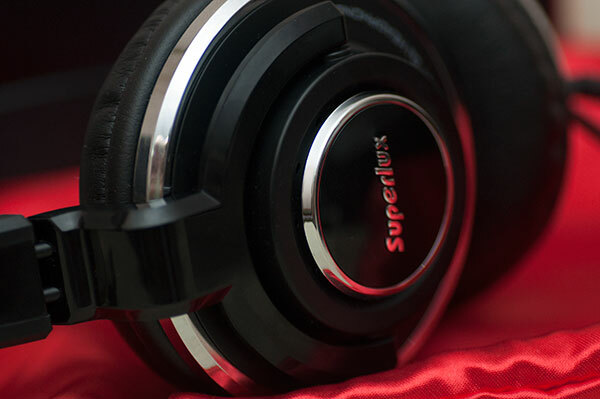 I last visited the Superlux stable with the HD661 which was a close run thing with the Sony MDR-7506 but with a bit more verve and attack and punishing highs and in the end something of an acquired taste. 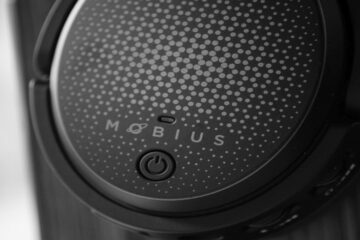 I did say though I thought it was their most mature offering to date with a better housing and build and a more purposeful attempt at creating a headphone that wouldn’t get lost in the masses of cheap headphones. Well along comes a new headphone from Superlux, the HD661 and once again the same thought process has gone into the creation of this headphone with the result that I think we have their best offering to date and a real budget headphone contender for those who like their sound a bit more consumer-orientated without loosing any of that lively vitality that has become a trademark of the Superlux range. 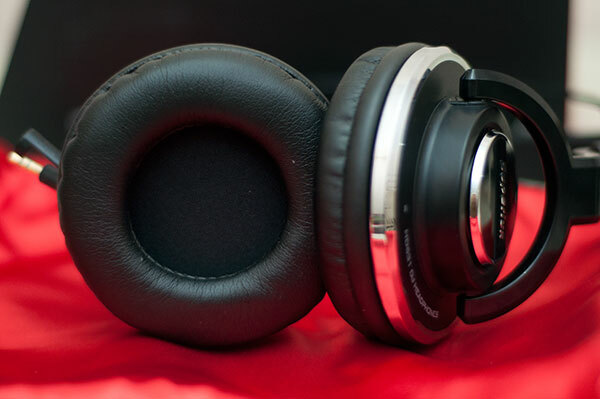 The HD661 is branded as a DJ headphone. The term ‘DJ headphone’ is subject to some ritual abuse these days by headphone marketing departments along with terms like eco-toursim (read lack of budget to develop the breach), jobless recovery (share price went up but still unemployed), and delicacy (read crap food). Just about everyone is getting in on the act of creating a headphone that they believe a DJ might actually like to use. Some hit the mark like the Aiaiai TMA-1 or the venerable Sennheiser HD25-1 II and the veritable slew of Pioneer purpose built headphones for the booth. However there a few that just make the claim because its got a ton of bass and a cool design without ever thinking if they can be used in a booth in a night club. The HD631 for me is not a DJ headphone in this sense. In terms of function and form it may not meet the demanding requirements of pro-DJ. It lacks durability to take a night out spinning records to be honest and its large form factor and lack of cup swivel will make it a pain for most DJ’s to mix, spin and talk to clients or take a second wind at the same time. However that being said as a consumer headphone at this price the HD631 is actually a great sounding headphone with a consumer direction that is far more mature and has much more gravitas than what has come before it. If you are an aspiring DJ and your just mixing for fun in the house then perhaps these are not a bad little set of cans to get you up and running but in the end you are going to want to go to the more purposeful headphones to give you a professional edge if you fancy pursuing a more serious DJ career. It does come wrapped in virtually the same packaging as the HD661 which to be honest for a DJ pitch I would have like to have seen a bit of flair and individualism thrown in. However at this price point its more forgivable and in reality once you take them out that ends the box’s lovefest (unless your into box collecting). The red pouch is the same also as the HD661 and here I would have preferred a matching black pouch but hey color again is something very personal. You do get everything you need though with a quarter jack, pouch, and the cable is detachable as before so all is in place to get up and running as semi-portable headphone or something for desktop usage. 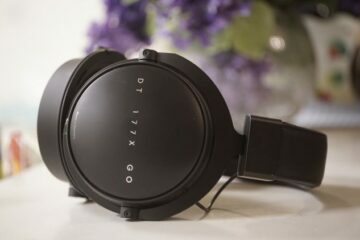 The build quality is also almost exactly the same as the HD661 with that reasonably sturdy piano black plastic build, 3 wing system for the headband and this time more rounded cups than the slightly elongated form factor of the HD661. The cups are finished with pleather type padding cushion pads and slightly flat giving a more pressing type feel on the outer rim of your ear. Now the wing system is a strange choice for a DJ headphone and with the clamping of the HD631 being on the strong side the 3-d headband really only acts as a guide for the headphone on my head rather than any pressure point release. That clamping force could hold them there all on their own. The plether pads themselves are prone to sweating in hot conditions after a few hours but otherwise reasonably comfortable. 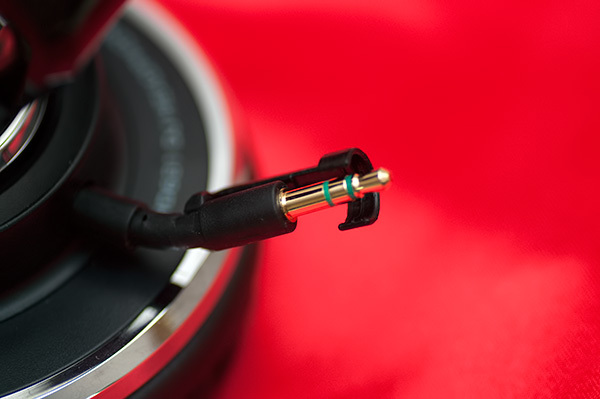 The HD631 is a single detached cable headphone using a similar system to Philips Stretch O’Neil headphones and their own HD661 with a 2 inch drop direct from the cup terminated with a 3.5mm female connector. In the box you have your coiled regular 3m cable terminated in 3.5mm with a screw-off quarter jack. Everything is held in place with a small connector reinforcing clip which gives a touch more assurance that your cables wont unlock if the termination moves around. coiled cable, thomann up to 3m cable with stereo mini-jack and 1/4″ jack adapter. Sitting at 101db with 40ohms this is a reasonably easy to drive headphone out of most DAP’s and expands nicely with a decent portable amp or small desktop amp setup. The tonality after burn in doesn’t change a whole lot in the time I have had it and that’s a bottom up slightly darker tonality than the HD661 (though still essentially neutral) with a better bass response and smoother highs than the sparky hot HD661. Unlike previous incarnations the slightly more laid back treble and cleaner mids provide a more relaxed and musical experience. I can certainly see these cans getting some extended listening time on a wider set of genres than just the intended beats genre given its DJ Moniker. 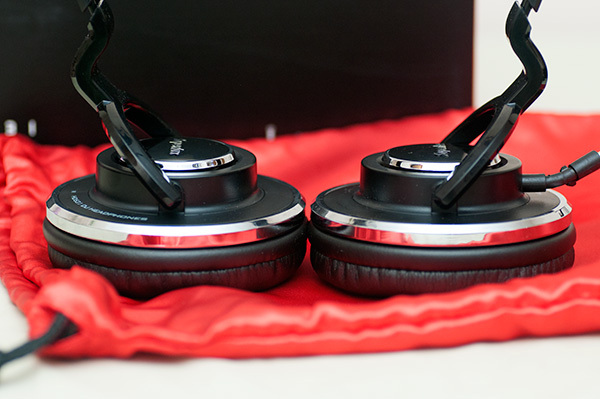 There is no denying though that the HD631 really comes into it’s element when moving to beat orientated tracks. The bass response is surprisingly punchy and tight with a nice mid-bass hump that excites that inner-DJ in us all. Thankfully it doesn’t bleed too much into the mids allowing vocals to to stay to the fore and not get lost like some more prominent headphones. The added flexibility of a decent set of mids means genres beyond dance can actually sound surprisingly clean and articulate. Consistent with most other DJ headphones this is a closed back can with limited sound stage but I have to mention the imaging, which for me was above par for the class of headphone. The detail shone through much more than I expected. Pink Martini’s Hang on Little Tomato sounded actually really pleasant and accurate with some better than average layering for a sub $100 and closed headphone. Sibilance was next to zero on most female vocals which is a welcome turn for what is a traditionally a bright headphone manufacturer. 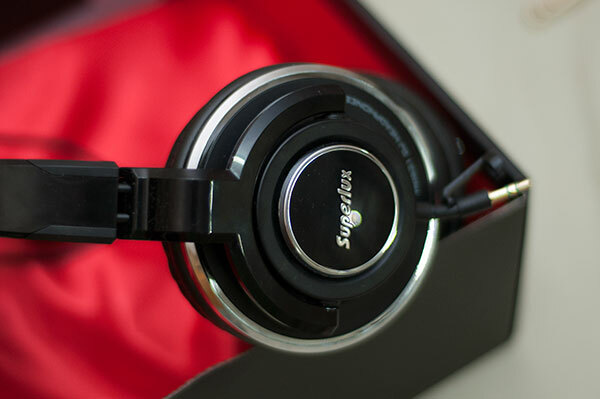 It is a surprisingly coherent headphone to be honest and for the price a very attractive one at that. Fundamentally a neutral headphone with great bass and non fatiguing highs do make a good case fo start up DJ’s who want to focus on beat matching but for those who like great bass and clean mids then this headphone is surprisingly flexible for other genres. Could this be upgraded like the 668B can with AKG pads. That I am honestly not too sure but I understand where you are coming from as the pads are a touch too shallow for the clamping power. Hi, how would you compare this to the Superlux 668b? Better than average given they are a closed headphone but they clamp pretty tight. As far as I am concerned this sounds very similar to the ATH-M50. However this is the most painful thing that I have used. I feel like being tortured every time wearing this. Shame for such a good sounding can. I have not tested the HD669 but based on reviews and experience of other models the HD631 will have the best bass performance yet and probably the darkest tonality yet in the Lux range.